The Southfield City Centre District is Open for Business! We invite you to join our premier business address in Michigan and share space with some of the most prominent businesses in the global market. The City of Southfield is home to more than 9,000 businesses, including more than one hundred Fortune 500 companies. Southfield is truly Michigan’s undisputed business center. The city has more than 27 million square feet of office space and over seven million square feet of retail and industrial space. In fact, Southfield boasts more office space than the central business districts of Cleveland, Cincinnati, Detroit, Indianapolis and Kansas City. Why do so many companies choose Southfield? Simply put, because Southfield offers business advantages that often are not found in other cities. For example, an impressive 98 percent of the city is accessible to high-speed fiber optics, broadband and satellite services. 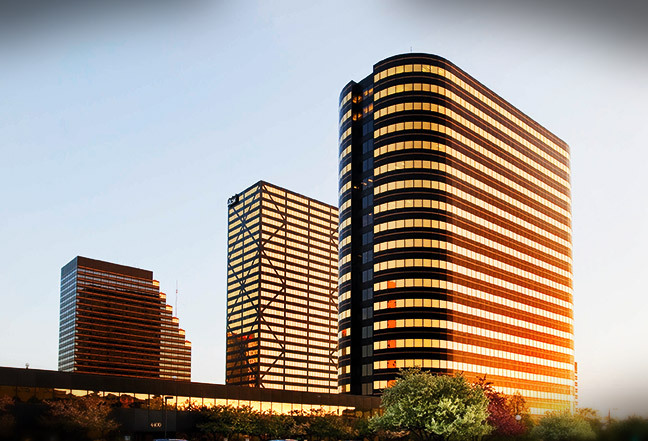 The city’s central location, great public services and easy access to freeways are other reasons to select Southfield. The Southfield City Centre district is a roughly triangular area defined by Evergreen Road, Interstate-696 and the Lodge Freeway (M-10). The district’s boundary extends outward from this triangle in two places to include Southfield’s Municipal Campus and Lawrence Technological University. The City Centre area has 13,000 office workers and five universities and colleges.